Find the Bible study helps you need in a package you?ll love?in a special edition for women?KJV Study Bible. This handsome, leather-like edition contains dozens of topical study outlines especially for women, plus individual book introductions and a dictionary/concordance section. It?s an excellent resource for personal study or Sunday school and small group preparation?whether you?re already a fan of the translation or if you?ve been reading more modern Bible versions. Kjv Study Bible--women's Edition by Publishing Barbour was published by Barbour in March 2013 and is our 30726th best seller. The ISBN for Kjv Study Bible--women's Edition is 9781616269906. 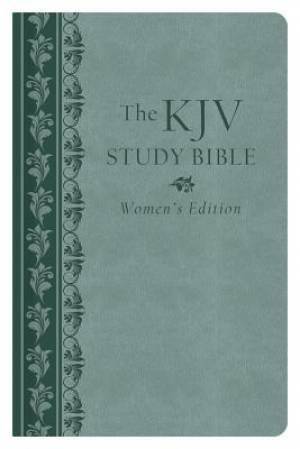 Be the first to review Kjv Study Bible--women's Edition! Got a question? No problem! Just click here to ask us about Kjv Study Bible--women's Edition.